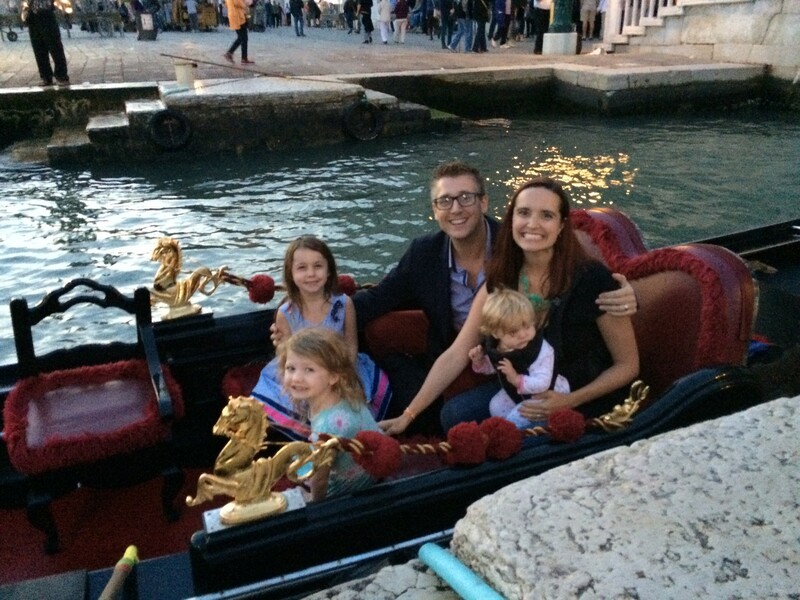 Venice, Italy • Gondola ride with the family! But I think the travel advice you really need to hear is encouragement that speaks to the fears and doubts that plague your mind when you contemplate traveling to new places. Because that is what holds you back from actually getting out the front door and embarking upon incredible adventures. 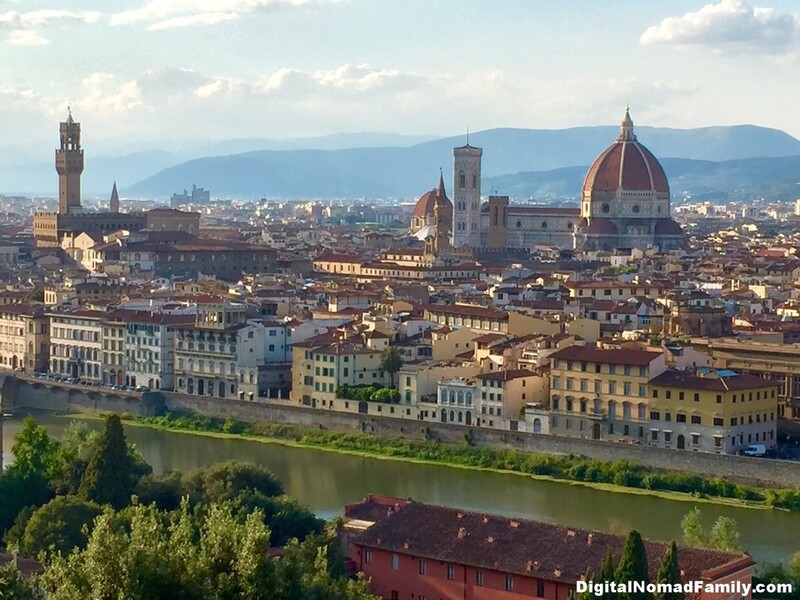 Magnificent views of Florence, Italy from Piazza Michelangelo… panoramas like this make getting out there so worth it! Get your mindset right, and you will have what you need to travel. First off, don’t be scared of the unfamiliar things that come with traveling to a foreign country. Too many people let fear of the unknown hold them back from having amazing experiences. I promise you that wherever you’re going, there are friendly people who like to eat good food and will show you what they love about their country. If you can’t speak the language, use gestures. Use Google Translate. Ask around for someone who speaks English. You will be able to communicate and get your message across one way or another, and after you’ve had a few interactions, it will get much less scary. Nightfall in Tel Aviv, Israel…. a place we almost didn’t visit because we were afraid of what it would be like… We loved Israel so much that we spent 2 months there! Secondly, know that travel can indeed be stressful. Be prepared for that. Expect it. And then stay cool and calm when it happens. You can even survive a 13-hour flight from Moscow to Miami with three small girls on an hour or two of sleep and still have a smile on your exhausted face. And when crazy things happen during your trip? Roll with it. Take a second to breathe and then figure out what comes next. We’ve been stranded in Monaco after the last train back to France had already left, had a rental bike stolen in Nice, were locked inside the Versailles gardens after closing, missed our bus for a Tuscany group tour, had our apartment in Barcelona burglarized… and we’ve survived it all. When something goes wrong, ask for help. Look for creative solutions. Exhaust all your options. And above all, be confident that you will get through. No panicking or tears allowed. Lastly, on that note, if I could impress just one thing on you, it’s that you’re capable of more than you know. Don’t sell yourself short and think that you could never travel extensively (or to that certain country / by yourself / with children / etc.). Traveling requires you to summon up courage, creativity, and smarts that you didn’t even know you had inside of you. But they’re there, and you will find them right when you need them. And while I know the above list of experiences sounds kind of scary and uncomfortable, those moments are just tiny blips in a string of joyous, incredibly rewarding experiences that travel will give you. When you push past fear and through discomfort and just get out there into the world, it will be so worth it. You will find yourself drinking champagne in the rain under the twinkling lights of the Eiffel Tower. You will jump off boulders on the French Riviera coast, screaming with exhilaration as you hit the beautiful Mediterranean Sea. You will stand in awe as you marvel at Ireland’s dramatic Cliffs of Moher, enjoy a bright pink sunset over Tel Aviv’s beautiful beaches, and see the Milky Way with your naked eye on Hawaii’s Mauna Kea. So do yourself a favor and put the excuses, the fears, doubts, and worries to rest as of this moment. There is a whole world out there just waiting for you to explore… stand up tall, hold your head high and your shoulders back, and know that you are capable of taking it on. You’re going to be awesome. Follow us for more travel story adventures and for how you can get started having more travel adventures in your own life! Check out one of our favorite new books that will help you jumpstart your financial freedom and give you more money to travel! Travel The World, Work From Anywhere, and Love Your Life. Get it here! 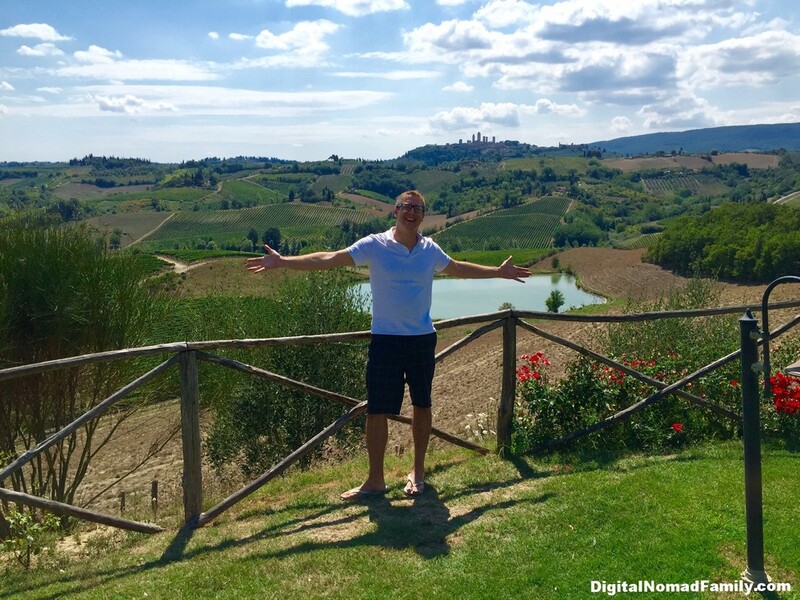 DigitalNomadFamily.com publishes stories and videos, that make smart nomads smarter. 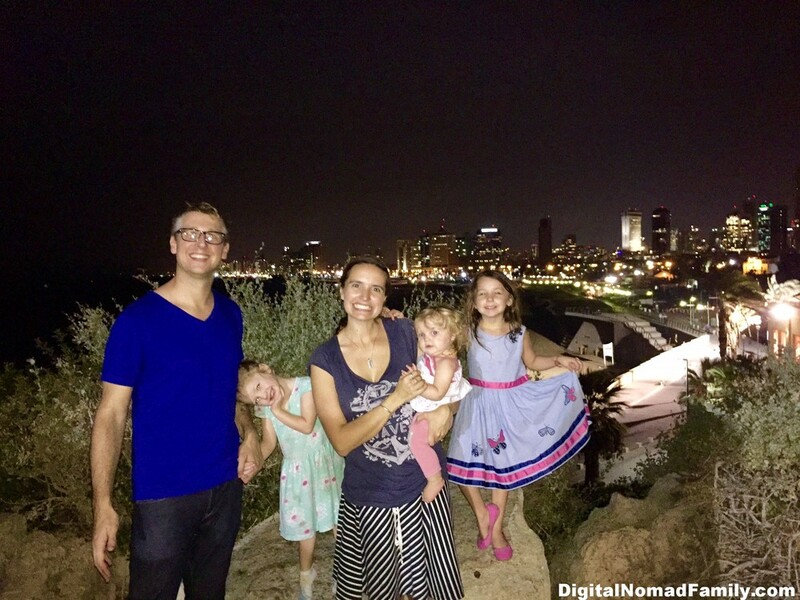 We’ve taken our experiences traveling around the world for the last four years with our three little girls as a digital nomad family! You can subscribe to get them here. 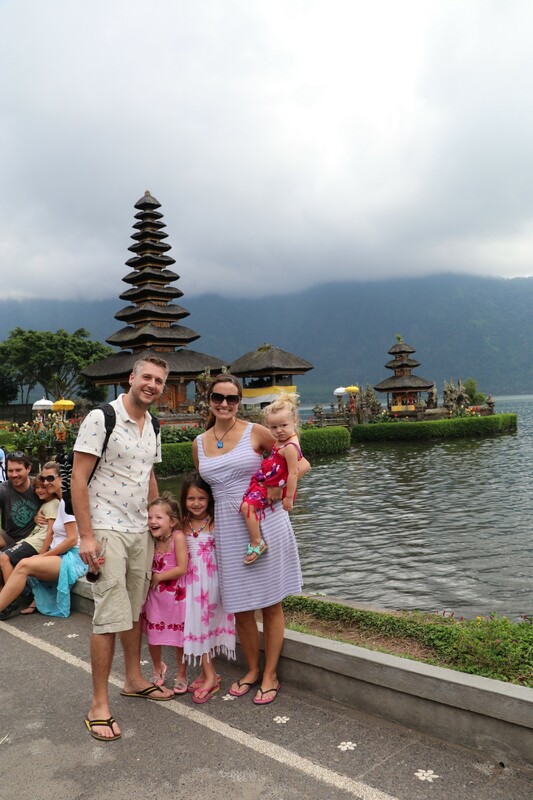 Uniting World Traveling #digitalnomad Families With #coolkids That Are #travel Blogging To Share Their Journey. Goal: To Inspire Families Be Brave And Explore!